Spellbinding three-part vocal harmonies weave around melodious instrumentals to create a take on folk that is bold and original. As well as inventive interpreters and skillful arrangers of music from the British Isles, the ensemble are prolific writers, adding their distinctive and astute voices to modern day folksong. 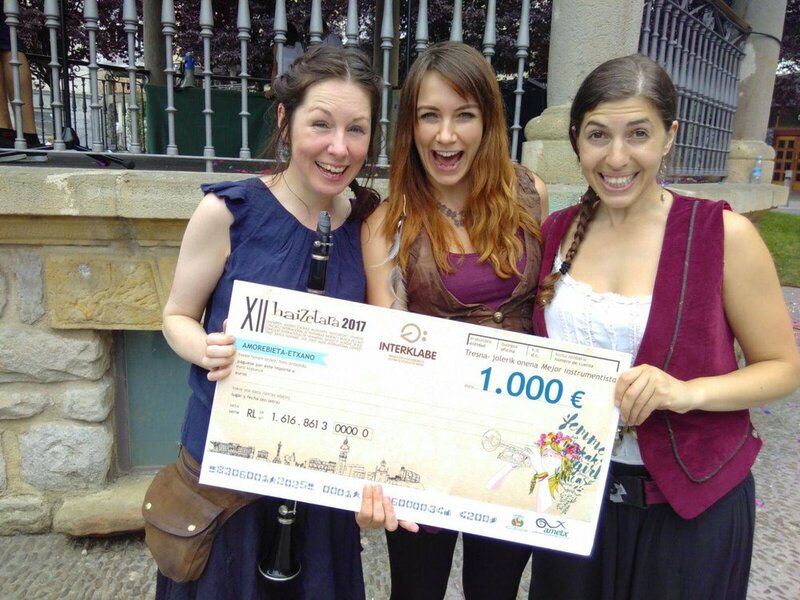 The singers of Tell Tale Tusk have captured the imagination of international audiences, and were awarded the prize for "Best Instrumentalist" at Haizetara festival in Spain. The panel of judges decided to treat the three voices as one instrument based on their "seamless voice blending" and intricate harmony writing. "Full of creativity, lyricism, irony, and personality." The Quartet's debut studio EP, Through The Morning, is an intimate collection of a few favourite folk-fables. The record showcases the ensemble's inventive interpretation and skillful arrangement of existing music as well as their flair for songwriting. An anthropmorphised journey through the changing seasons, a pensive ode to the Moon and a bawdy tale of a (not so) lascivious sailor are just some of the characters that come vividly to life through Tell Tale Tusk's dynamic storytelling. This album was entirely crowdfunded and we are boundlessly grateful to all the generous souls who got involved to help make it happen. An anthropmorphised journey through the changing seasons; enter into this magical, minature world and follow The January Man as he takes another turn through the year. Tell Tale Tusk's arrangement on an old English folk song of love, loss and war. Performed here live at Sofar Sounds London in August 2017. In Autumn 2016 Tell Tale Tusk reached the final of the Bath Folk Festival- New Shoots competition. Watch the performance of the pan-British folk song, Cuckoo's Nest, that helped get them there. The singers of Tell Tale Tusk were awarded the prize for "Best instrumentalist(s)" at Haizetara Festival 2017. Look at those happy faces..